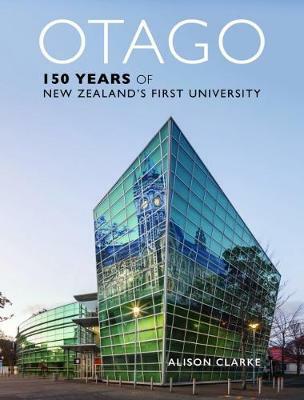 The University of Otago has always taken pride in its status as New Zealand's first university. Starting a university in 1869 was a bold move: other regions observed Otago's action with a mixture of surprise, scepticism and envy. The venture paid off: from small beginnings, the university grew into a large institution with local, national and international significance. Like any organisation, the University of Otago has had its good times and its bad times. It has been at some periods and in some ways deeply conservative, and in other ways boldly entrepreneurial. A good history is a critical assessment rather than a public relations exercise, and Alison Clarke has consulted and researched widely to produce a forthright and fascinating account. While traditional institutional histories focus on the achievements of the most senior staff, she has been at pains to write an inclusive history painted on a much broader canvas. This history is arranged thematically, looking at the university's foundation and administration; the evolving student body; the staff; the changing academic structure and the development of research; the Christchurch and Wellington campuses and the university's presence in Auckland and Invercargill; key support services - libraries, press, student health and counselling, disability services, Ma ori Centre and Pacific Islands Centre; the changing styles of teaching; the university's built environment; and finally, the university's place in the world - its relationship with the city of Dunedin, its interaction with mana whenua and its importance to New Zealand and to the Pacific.